“It’s so emboldening to see environmental advocates pushing for more progress instead of settling for the status quo. Young people everywhere are not taking it sitting down – we are fighting for a better world and a better system,” Kortni Wroten says. Kortni Wroten isn’t one to sit back and just watch things happen. She’s on a crusade to stop climate change. The dual MBA and M.S. 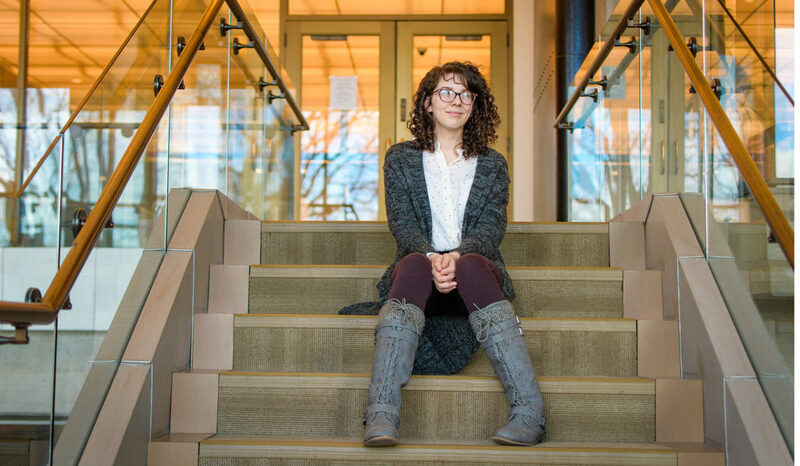 in environmental science and policy student made her voice heard at the COP24 UN climate conference in December. As Clark University’s first-ever student delegate, Wroten immersed herself in international climate policy alongside the world’s leading activists, researchers, and experts. The two-week long event held in Katowice, Poland, focused on the creation of guidelines to combat the impacts of climate change, including negotiations on the rules to govern the 2015 Paris Agreement. Although President Trump announced his intentions to withdraw the United States from the Paris Agreement in 2020, Wroten and other American delegates moved forward on non-federal climate action. The passion and political inertia demonstrated at COP24 imbued Wroten with renewed hope for the future of climate action. The opportunity to participate in COP24 arose out of a directed study course, International Climate Negotiation, which focused on international policy and progress. The multi-institution course was co-taught by Elisabeth Gilmore, associate professor in Clark’s International Development, Community and Environment (IDCE) Department, and Gillian Bowser, a natural resources professor at Colorado State University. During her presentation at a U.N. official side event, “Students and Youth Researching and Advocating for Climate Action, Equity, and Global Justice,” Wroten explored youth perspectives on agriculture and food justice. She discussed Worcester’s local youth-led food initiatives, including Clark’s student-run Local Root program and the city’s Regional Environmental Council YouthGrow program. Both initiatives address local food justice issues and empower youth through community and climate action. In addition, Wroten presented at a U.N. Pavilion event, “Food for our Future,” where she tied in Worcester’s initiatives to the efforts of the recent IPCC 1.5 Special Report. “I focused on elevating the efforts of my peers and the neighborhood to raise awareness and recognition — but also to inspire others that local, small-scale change is actually quite impactful,” she says. Wroten’s call-to-action rang loud and clear. After the event, she was approached by two students from the Netherlands who asked for insight and advice for launching their own urban agriculture initiatives. “It was so rewarding to see that our initiatives here in Worcester were able to inspire change internationally,” Wroten says. Kortni Wroten, a dual MBA/M.S. 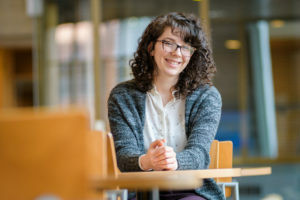 in environmental science and policy student, looks forward to sharing the skills she’s learned in the classroom to assist communities in their sustainability efforts. She credits the experiential structure of her graduate program to her success at COP24. Wroten returned to Worcester more inspired and determined to focus her efforts on environmental planning and sustainable development. “Attending the COP showed me the promise of technology being developed to mitigate and adapt to climate change,” she says. Wroten plans to work further on issues of advocacy and community organizing. “I would like to focus my efforts on adaptation in the wake of oncoming climate disasters, particularly for vulnerable communities,” she says. If there’s one thing Wroten wants known, it’s that an individual voice can change the world, and it’s time for yours to be heard.